At last! My Studebaker Katyusha has remained unfinished since spring but is finally ready. 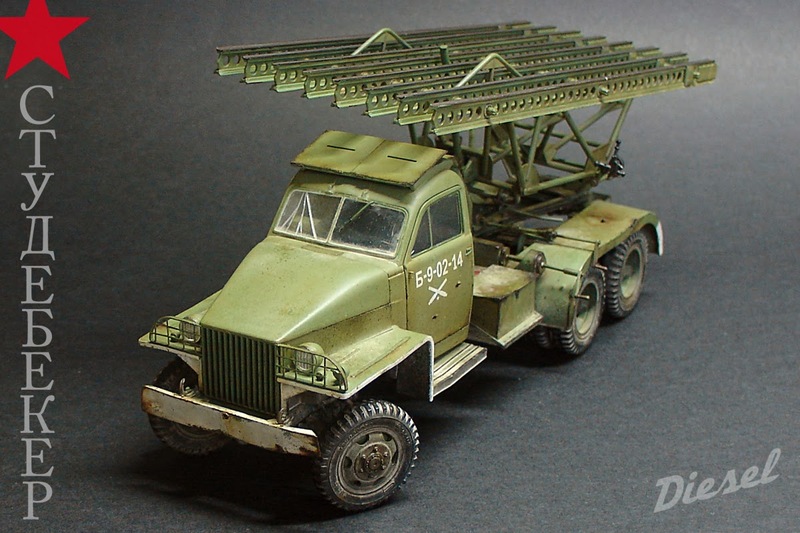 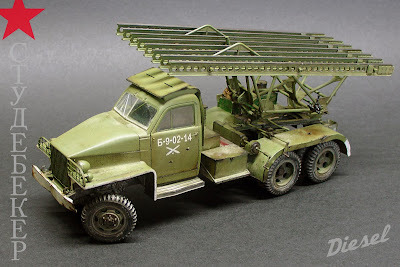 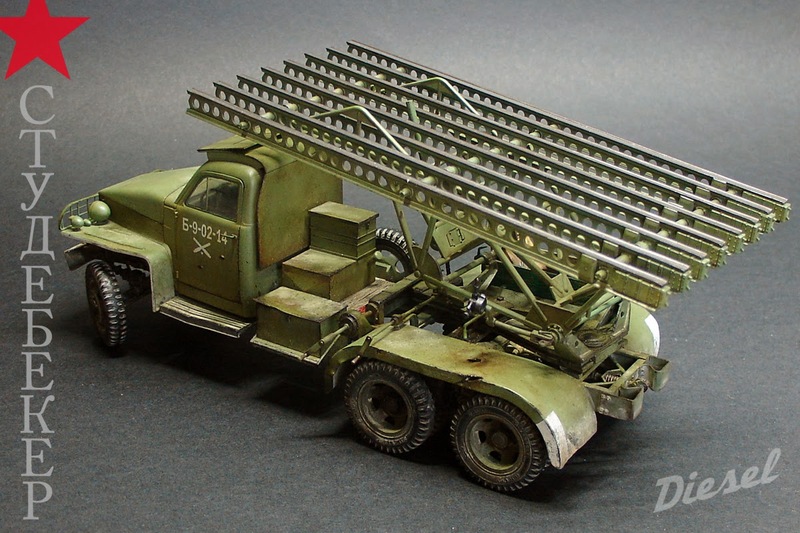 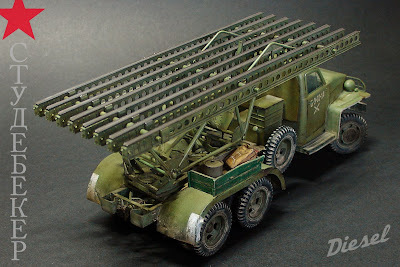 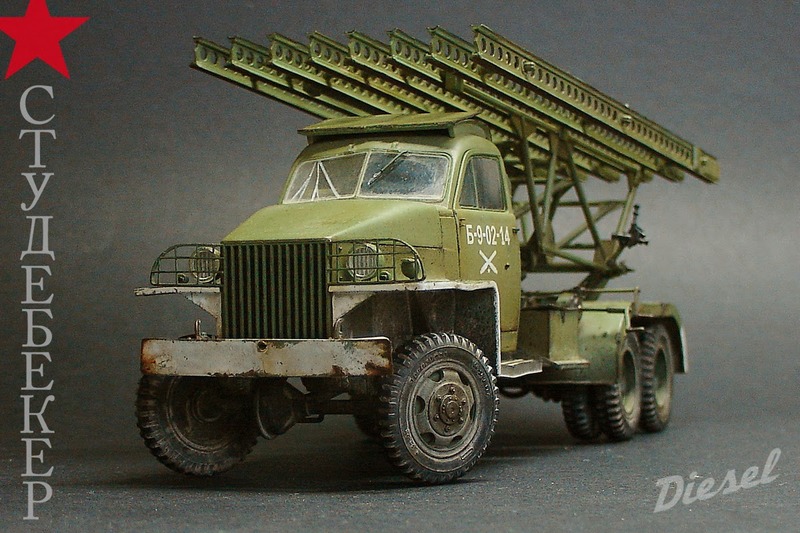 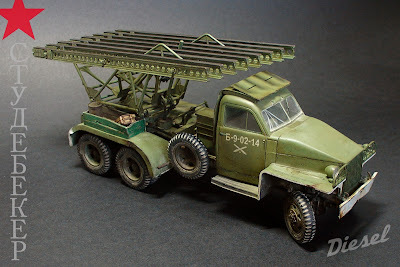 It simply received some home-cooked improvements here and there to the ICM kit, and the only extra detail set was the superb Studebaker grille made by LIMES MODEL that improves a lot the looks of the beast (check their GMC, Jeep and Abrams grilles, delicious!). 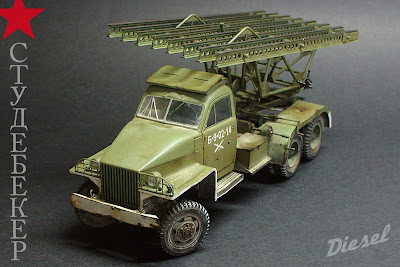 All the painting was done in Tamiya acrylics and enamels, and Vallejo acrylics.